After tackling salads, sandwiches and good coffee, the team behind Sarnies and The Lokal homes in on the premium meatball. 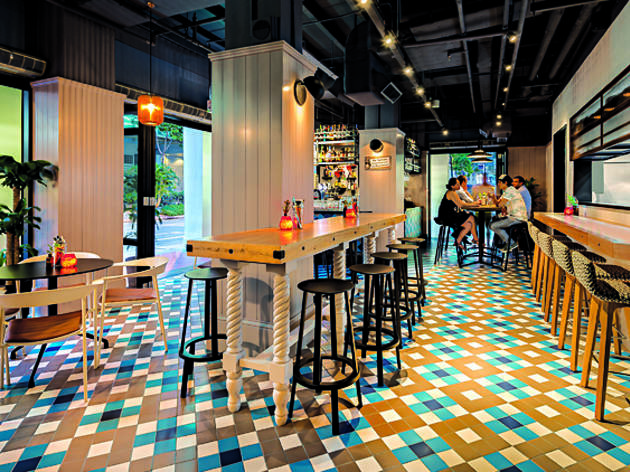 Its new China Square concept restaurant serves a predominantly white-collared, expat crowd in a wood-tabled, mosaic-tiled L-shaped room with an open kitchen, lending diners a peek into the cooking action. Dinner mains at the Club are ordered pick-and-mix style ($19.80) where you pick the protein for your spheres, sauce and carbs to fill you up. Unfortunately, the balls have quite some way to go before they can do justice to the casual joint’s name. The wagyu and rosemary option surreptitiously burns the tongue with hidden chunks of raw garlic within, salmon is pulped to a smush before being reconstituted into doughy globs, and the Iberico pork, when paired with pappardelle and a tomato sauce, turned out a plate with a jarring, citrusy perfume almost reminiscent of dishwashing liquid. The accompaniment of house-made pappardelle and risotto, both proffered al dente, was anything but. And while the silky mash and roast veggies of aubergines, peppers and spring onions were decently good, they weren’t good enough to save the meal. At lunch, the same balls feature in subs ($9.50) and salads (from $13), so there’s no escaping the mediocre orbs. Post-sunset, with the lights low and the bar in the corner strategically lit to showcase a selection of craft spirits, Club Meatballs looks like a more exciting proposition for the postwork drink. 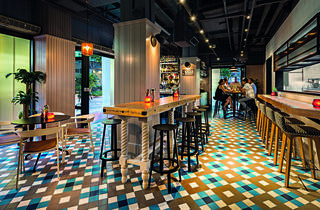 Craft beer by the bottle ($13-$15) and big brand drafts ($13-$15) are offered, alongside whisky ($15-$21/45ml), spirits ($17-$115) and classically inspired cocktails. Just steer clear of the balls.